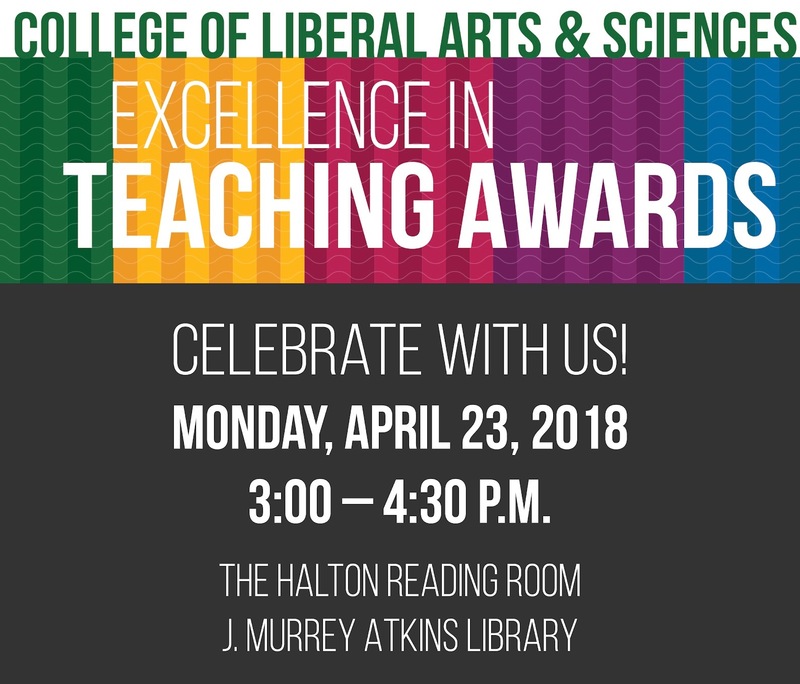 Outstanding College of Liberal Arts & Sciences faculty will be celebrated for their teaching excellence during an awards event on Monday, April 23 beginning at 3:00 p.m. in the Halton Reading Room of J. Murrey Atkins Library. At the ceremony, the college will recognize the nine finalists for the college’s teaching excellence awards -- the Award for Outstanding Teaching by a Full-Time Lecturer, the Award for Outstanding Teaching by a Part-time Faculty Member, and the Award for the Integration of Undergraduate Teaching and Research. The recipient of each award will be announced at the event, and all nine finalists will be recognized. Also at the event, the college will celebrate this year's Teaching Professors, who will be announced. Additionally, the college will recognize three Bonnie Cone Professors who have announced their retirement. Refreshments will be served.